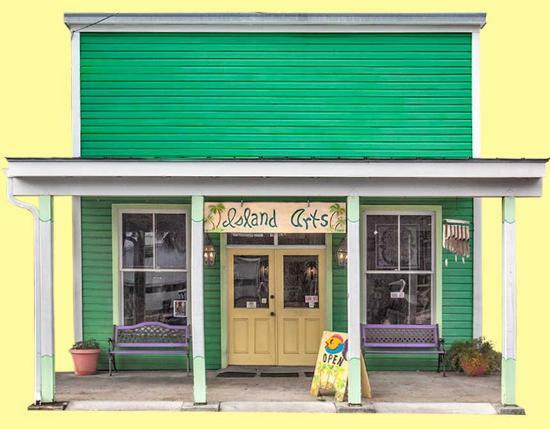 Island Arts at Cedar Key was estabished in 1995 as an artists co-op featuring artists from Cedar Key and nearby surrounding areas. The shop was originally located on C Street next to Drummond Bank, but moved to the present location on Cedar Keys historic Second Street in 2007. The art that is featured is all original and unique ranging from light hearted and whimsical ceramics, watercolor and photography to classic stoneware, carvings and oil paintings that capture the essence of the Nature Coast.